I ordered a “gamers” 64-bit Windows 10 PC from a refurbisher on eBay. It arrived on Friday afternoon (yesterday); I plugged it in and started to learn about Windows 10. I had only ever run Windows XP and Vista (Vista on an inexpensive ACER laptop with too little RAM). XP has been my mainstay for well over a decade. Trying to figure out Win 10, after XP, was like trying to learn a new language! All of the elements were there but in new places using, perhaps, different names and different menus to find them. I had Total Success Running MMD on Win 10 64-bit! FIVE Downloads in my Downloads folder! Then I took a look at that orange chart, there, on the downloads page that shows you what OTHER software MMD needs to have installed. I downloaded the DirectX 9c Runtime, C++ 2008 Redistributable for 64-bit, and the C++ 2010 Redistributable for 64-bit. I ran the DirectX executable that I had downloaded… and it asked me “Where” to place the files it was about to download. I had no idea. 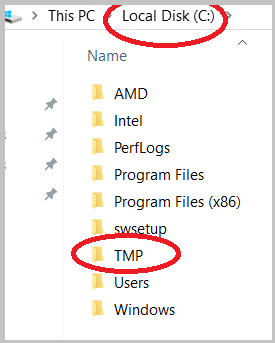 So, I went back to LearnMMD.com and the main Troubleshooting article… and it told me to place a new folder named TMP onto my C drive. I did so… and then returned to that question, clicked BROWSE… and navigated my way to that TMP folder. That DirectX Runtime then finished its installation without another incident. I then unzipped the C++ 2008 Redistributable and installed that software. Next: the C++ 2010 software. Then I dragged the MMD zip folder to my Desktop and unzipped it… “Extract All”… and found my new MMD folder on the Desktop. … I did the same with the MME zip folder. I opened that new MME folder and did a drag-and-drop to put the three DLLs into the same folder as the MikuMikuDance.exe file. I opened that new MMD folder… and tried to open MikuMikuDance. SUCCESS! … MMD opened and looked great and that little MMEffect was where it belonged: in the upper right corner of my screen. For my next trick, I dragged the new Mikumikudance.exe file and it’s DATA folder into my old, existing MMD folder. I then did a drag-and-drop to move those three new DLLS into that old folder to replace the old 32-bit DLLs. I opened MMD… It worked perfectly. … I was JAZZED! Next, I opened my most MME effect-heavy saved dance… and… it opened quickly and ran just fine at 60-fps. The MS site says that that don’t have those programs anymore. Where did you get them at please? I just went through the Same- transition! @V@! I’m UBEr happy! It even saved My custom SHADERS! @V@! Gaming PC TOO- God- I’m DREAMING of new MMD updates..
And- the Mocap uses the Old xbox Kinect system.. I’m- getting really worried about Mmd! You’re seriously in the same boat I’m in, I copied my old MMD installation folder to my new Windows 10 computer but it didn’t work. Came here, this post was on top! So… a GOOD thing. Yes? … MMD is now working for you?